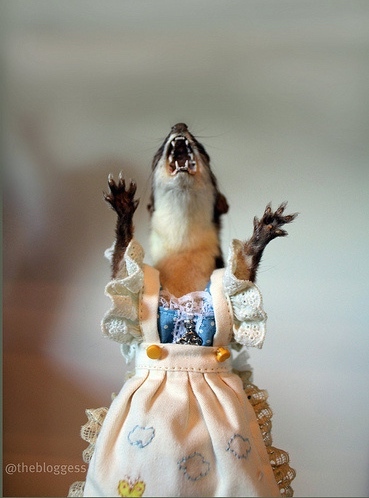 A sorry excuse, but you better have those dishes put away…. Sorry, the job. I’m not making any initial judgments until after next week. It’s too hard to tell this early in the game, but the people I work for are very nice and it’s a challenge, especially since it’s in an area which I have no experience or much knowledge of. I hate having to make decisions. It can be as simple as what to eat for dinner, or as complicated as what do I want to do with my life, I can’t make a solid decision to save my soul. Hindsight being 20/20 I realize this was probably also a key problem in my past failing marriage as well. Neither of us could make a decision, or else neither of us cared enough to have to make it… I was in the process of trying to decide if I should make a pretty solid transition this week. I always hesitate because I worry incessantly that I will make the wrong decision. I would be much happier allowing others to make decisions for me, provided they are the choices I would want to have made myself. I’m just never brave enough to make those choices myself… besides, then if anything goes wrong, the blame is on them…right? 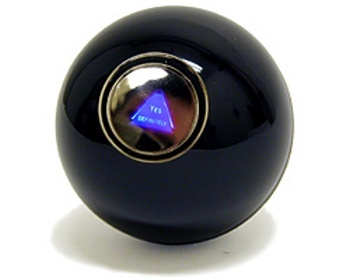 Anyway, as I was in the process of making a decision this week, I found myself back in the good old junior high days of asking the Magic 8 Ball what decision I should make (However, now the Magic 8 Ball is an app on my phone, but the same concept really, right?). It seemed rational at the time. Yet, the Magic 8 Ball kept telling me what I didn’t want to hear… “It is decidedly so. It is certain. Yes.” So I did a little experimenting and asked it a few other questions, like, “should I dye my hair hot pink”… or “should I live in a van down by the river”. I made a startling discovery. No matter what I ask the Magic 8 Ball it gives a positive response. If I asked it, “Should I give up all of my worldly possessions and become a nun,” it would most certainly say “Signs point to yes”.